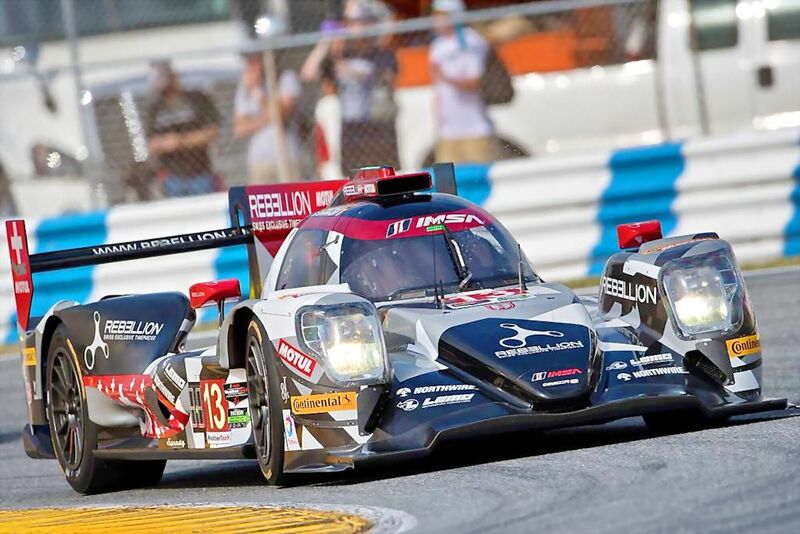 Motul has just signed up to be the official lubricant partner of the Rebellion Racing team. The Swiss-based outfit will enter two Oreca 07-Gibson LMP2 prototypes at the 2017 24 Hours of Le Mans and 8 other rounds of the World Endurance Championship. At the same time, they will be entering in the North American Endurance Cup which includes the Daytona 24 Hours and Sebring 12 Hours. Rebellion Racing always places importance to its choice of drivers and this year is no different. At the wheel of the Oreca #31, is David Heinemeier-Hansson accompanied by the faithful Nicolas Prost and Mathias Beche. The #13 car sees Julien Canal rub shoulders with former F1 drivers Bruno Senna and Nelson Piquet Jr.
For the North American program, where LMP2 cars are considered to be part of the top category, World Endurance champions, Sébastien Buemi and Neel Jani, will be joined by another ex-F1 driver: Nick Heidfeld. Powered by the Gibson GK 428 engine (4.2 liters of displacement and 8 cylinders), the Oreca 07s will be lubricated by Motul 300V Power Racing 5W30 throughout the season. Part of Motul’s Motorsports line, the oil brand hopes to build up on its third place finish in the Le Mans Series Championship. In the Philippines, Motul oils and lubricants is distributed by Autoplus Sportzentrium. For more information about the 300V or any Motul product, contact 02-726-0399.